at the top he says he took it down. Finally, an experience worth comparing to the original game! Honestly this was just as good. No matter how many times I've seen it, this game is just as eerie as the first time I've seen it four years ago. I want to thank you so much for doing such an amazing job on this legendary nightmare! I was always disappointed that I was unable to play the original on ps4 myself! It's a pleasure to play the closest thing possible. there's also a part in P.T. where you can see Lisa in the first window. Would love to see that added too! Love this though. Extremely scary and fantastic remake of the original PT. I'm shocked this hasn't been taken down yet. Fantastic work of course and good luck if Konami comes for you! How do i increase the graphics settings, resolution scale etc, i cant find a way or any instructions? I tried fiddling and typing bits after pressing escape but couldnt work it out :-( . Fo the Vive VR version. Increible es genial, nada que envidiarle al original. I played almost all the major PT recreations on my channel and this by VR trump them all, the details and the way you made it show how talented and creative you are. Hope you get a call form a team that would love to have someone as talented as you on their studio staff. Line 3604 of ShaderCompiler.cpp is missing a global shader "FRecomputeTangentsPerVertexPassCS"
Hopefully if we can find a solution, anyone else with this issue can get around it too. the game is well optimized, so if you guys have a lower specs, just give it a try. Really well done. It looks exactly the same as the original. I would recommend, if possible, turning off the ability to use the console in game. BTW you said and i quote "Unreal PT was under constant development over the course of 9 months, starting in April 2018 and ending in January 2019"
Yes I agree, I would also be willing to pay. Even if you only added 3 things, the most important is seeing Lisa close that bathroom door. The reason is that it is an important moment where the antagonist actually SEES the player, you make first contact right up front in their face. This instantly puts you on edge because you know it knows you are there. This makes the next time you see Lisa way scarier and every time after that as well. If you could add the roaches, and the missing sounds like hearing her footsteps when she walks towards the bathroom when you are trapped, that would be amazing. Absolutely, the short glimpse is the introduction of Lisa, it creates much of the tension of the whole game. Roaches would be great (Laczowskis remake, here on itch.io too, has them) and footsteps would be great, but Lisas appearence is the most important in my opinion. Loved it! What a game! Thanks for the upload, it looks great. One thing though, is there no way to complete the picture near the clock? I've got almost all parts, but I remember in the PS4 there used to be a part of it in the pause menu, which in this version is missing. Great content otherwise, it's almost perfect! Mannn I got tore up tbh with! 😂 I've never been so scared in my life playing a horror game, and I could barely get through the jumpscare! GJ on the game! Thank you for the update and wish you the best with future projects. Quick question how do I connect my PS4 controller to the game? It doesnt seem to work even though I've connected it both via bluetooth and plugging it in. I should probably say that my controller is connected through steam but even then it works on other games that I own outside of steam, if anyone can help that would be really appreciated! Hey will you guys every be bringing this game back? If so I will get it weather it is money or free. Great work! VR looks great now, but in addition to some bugs mentioned earlier I can't figure out how to zoom in while in VR...? Really? I tried staring and leaning in, I'll try again. Thanx for this Great Port! A little Feedback on VR Mode: the Player can activate or find things only if he stand in a certain Spot within the roomscale playarea. I only was able to finish the Game after i Placed my Self were i saw that red glowing dot in the Mirror. At first i was irritated. In the Vive the Game is very dark. For the Rift it s good a brightness Level. I wasn t able to trigger Lisa to attack me in VR (but i guess thats intendet). is this compatible with the HTC VIVE? if so how do i start it with the vive?? Yes! Please add these! 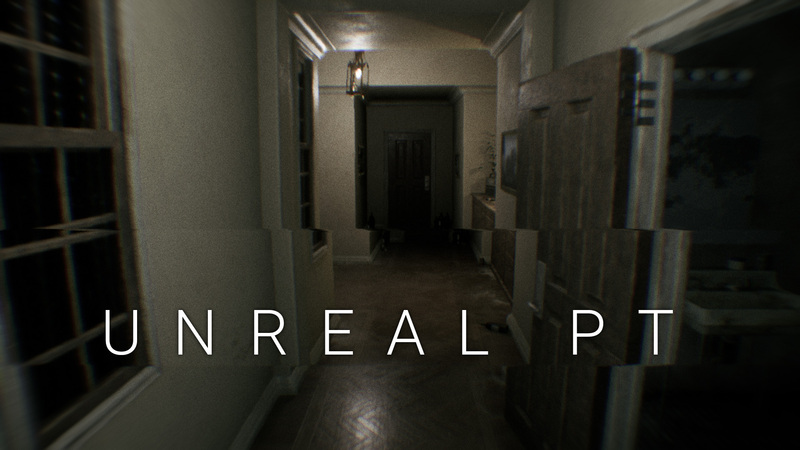 Having Lisa appear in the door crack the first time sets the mood for the rest of P.T. I think it's the biggest thing missing right now. I hope you decide to do an update with all these notes in mind. We bow our heads to you, all mighty and humble Gordello. P.S. I would totally donate money to see all these changes put in. are you using htc vive? Great job on this! Looks like a lot of work to make this come together. Never got to play the original and only watched some of it, so it was great to get a chance to play it. Could not quite get through to the end unfortunately. There seems to be a glitch for when the game loads up and I spawn in the floor. Reinstalling to see if this is fixed. I cannot look up or down when this glitch happens. EDIT: reinstalling the game doesn't seem to do anything. If I proceed anyway I still stay half way into the floor for some reason. My specs are more than fine for this game btw. Is this happening in vr? Or do you have a vr headset connected? Thank you so much for this!!!!!. i am really happy i can play pt. i hope you can do updates with more details like cockroaches and the ending :) and subtitles :D for the voices o the radio and the fetus talking. PT is back with a vengeance!!. Thank you so much for spending the time and energy on this. I missed out on the original, and now I feel as if I didn't miss out on anything. I couldn't get the final puzzle to trigger. Overall I really enjoyed this and can't wait to see what you come out with next. This was so amazing I don't even think I can give enough praise.